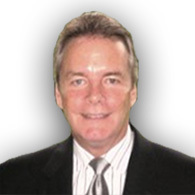 Mark has over 35 years’ experience as a financial professional. He has been a practicing CPA, served in high level government positions, acquired substantial M&A experience working in the Investment Banking and Private Equity field, and been the CFO of organizations ranging in size from start up to $200million in revenues. During that time, as principal or a consultant, he has accessed the capital markets for over $3 billion in transactions. These financings included public and private debt and equity, venture and private equity funding, municipal bonds and notes, sale-leasebacks, securitizations and commercial paper. Technology, Inc. an early stage aerospace company where he was instrumental in developing strategy and raising seed capital. Prior to Astrobotic, Mark was a co-founder and Managing Director of Telcom Holding, LLC, a private equity firm established to invest in public and private communications related companies. At Telcom Holdings he drove M&A activities, negotiated and closed ten transactions in excess of $150 million and secured equity commitments in excess of $200 million. With the final distribution direct investors realized a 36% average annual return on investment. Mark was also an investment banker with H.C. Wainwright & Company focusing on private placements and mergers and acquisitions. Prior thereto, he spent eleven years as a senior partner of Parent, Kiley & Naffah P.C., a regional CPA firm where, among other things, he acted as a consultant on capital markets to the MBTA, MWRA, MIFA, Lazard Frères and First Albany Corp. Mark spent time in government service including a gubernatorial appointment as CFO for the Massachusetts Bay Transportation Authority, where he initiated a variety of unique funding vehicles including the first municipal use of Zero-coupon bonds. He was also appointed as the CFO of the Massachusetts Racing Commission where he had oversight of the $400 million racing industry in Massachusetts. Mark earned a bachelor’s degree, with High Honors, from Bentley University.